Designed for performance, this grip creates a better interface between the shooter and firearm. 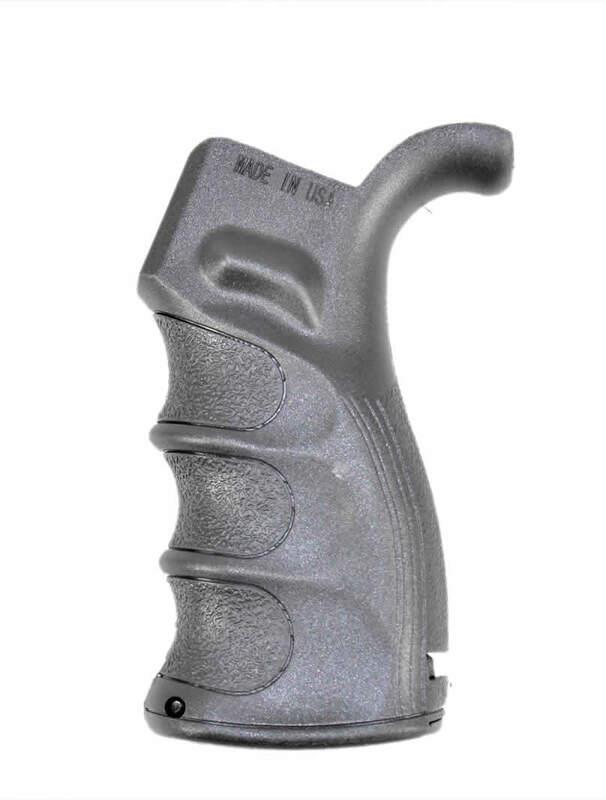 Made from a molded hard polymer with a molded over rubber surface, provides a more positive grip and a better weapon control than a standard pistol grip. This style offers superior comfort and helps prevent fatigue with its ergonomically correct finger grooves, providing you with an ergonomic and shooter focused grip for your AR build.